Shannon joined Blankinship & Foster in 2018. Her responsibilities include opening and maintaining client accounts, processing client requests including transfers and distributions. Prior to coming to Blankinship & Foster, she worked in the manufacturing and energy industries as an account manager, executive assistant and purchasing manager. Shannon is a trained chef who enjoys cooking and eating. 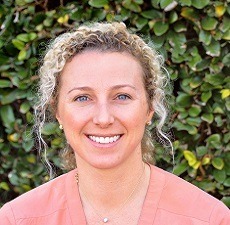 A San Diego native, she spends her free time outdoors at the beach, stand up paddle boarding, weightlifting and experiencing new adventures with her husband and two kids.